Posted byAtulHost	 24th Jan, 2019 11th Apr, 2019 Leave a comment on Why Employee Training is So Important in Construction? There are reasons why the construction industry is booming right now. The property market is growing at a steady pace, so it is not surprising to find more construction projects on the go. At the same time, we are also seeing a growing demand for home improvements, mainly due to the introduction of new technologies to be implemented around the house. That last part affects the construction industry in more ways than one. Aside from the increase in demand, there is also a higher need for continuous training and improvement for workers and construction professionals. Training is an important part of running a construction business for a number of reasons. The changes mentioned earlier are among the reasons why construction workers need to stay up to date with the latest technologies and construction techniques. Refreshing the employees’ skills will help them adapt to these changes better. The use of smart hubs and integrated networks, for example, means employees of a construction business specializing in electrical systems need to be able to install more than electrical wiring around the house. They also need to be familiar with a wired and wireless network for the company to be able to offer added services. The same can be said for other technologies now used in construction. Better window frames, energy-efficient doors, and new materials for insulation and roofing mean construction employees can really benefit from continuous learning and well-designed training programs. A construction liability insurance helps protect the business from third-party liabilities in the event of a mishap or an accident. There are more policies and insurance options too, plus you can now partner with companies like Next Insurance to find the best options for your business. That said, preventing accidents is always the best course of action, which is why regular safety training programs are crucial. 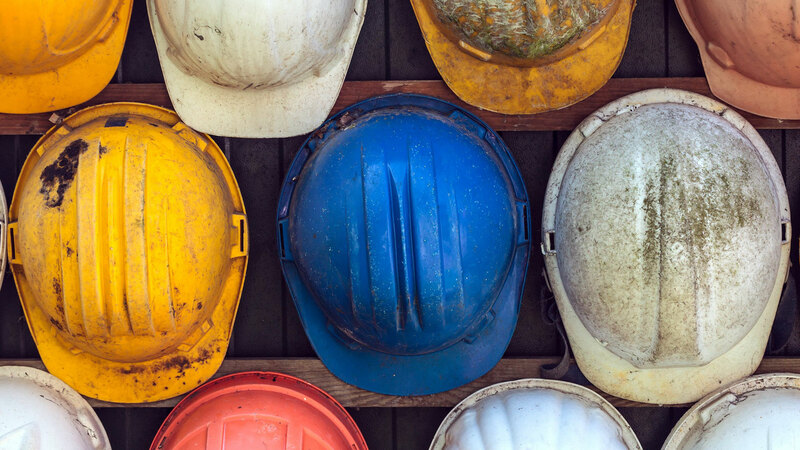 When workers know exactly how to maintain the highest safety standards, the work environment can be made safer and accidents can be prevented altogether. The higher understanding of safety standards also helps workers do a better job in every project. Rather than ignoring potential issues with the work they are doing, workers can spot those same potential issues earlier and take active steps towards fixing them. The clients will certainly be happy with your workers going the extra mile to ensure safety. There is also the psychological effect of regular training. First of all, it is necessary to understand that the growth of a construction business – your construction business – depends on the growth of the employees. At a certain point, not investing in employee training will result in the growth of the business being halted. Employees who can grow alongside the business are happier than those who are stuck in the same skill level for years. There is something about mastering new skills and sharpening existing ones that make employees happier with their job. That higher level of happiness leads to better loyalty and increased productivity. Once again, these benefits don’t just affect the workers directly, but also the business that invests in those workers. The more you help employees grow, the more productive they will be, and the bigger contribution they will make to the success of the company. Speaking of the benefits of employee training for the business, you cannot negate the fact that trained, skilled employees can fill key roles better. With the rapid growth of the market, you may find yourself in search of talent for more strategic roles in the company. Rather than spending extra money to recruit talent from the outside, it is much better to invest in employees and prepare them better for those strategy roles. Specialists who have worked in a lot of projects – equipped with the right management skills – can help you organize projects better. The approach brings immense benefits to the business itself. For starters, long-time employees are already familiar with the culture of the business. They are more capable of maintaining the same work ethics and environment, making the whole transition to the strategic role more seamless. The technical experience they acquired from working in the field is also invaluable to the business. Using the previous example, an electrician can actually suggest better ways of doing things and improved procedures for workers in the field using the person’s experience. Employee training is clearly an investment; it is not always the most affordable investment to make, but it is an investment worth making nonetheless. When you consider the long list of benefits continuous employee training brings to both the workers and the business, investing in a good training program should be an easy decision. Besides, workers are the biggest assets of any construction company, and there is no business growth without sufficient investment in strategic assets.